Acer released a new vga driver for the Ryzen laptop. Can anyone check if they lowered the Freesync vrr window from 60-144 hz to at least 50-144 hz? Yes I know, I need to update my BIOS to the latest version. Did some ram tweaking using ryzen master - it appears the stock ram can run 14-14-14-32-46-11@2400mhz without issue using Ryzen master. However, my additional 8gb (2x4gb) of ram that I had installed can't, it could only run 15-15-15-36-50-11 with all 24gb installed. I haven't tried lower timings than that as you can run into a boot loop (found this out the hard way) where it will POST but then crash when it loads windows, meaning the timings get stuck. 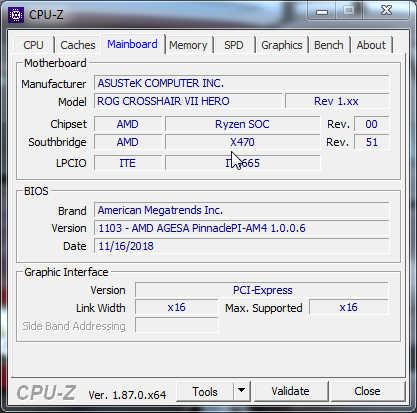 If it fails to POST 3x, it will reset the ram timings, but if it posts and you can't get back to ryzen master, you'll have to either re-flash the bios or figure out how to do a full bios reset - using the reset to defaults toggle in the bios doesn't change the ram timings. Luckily I was able to just pull the extra 8gb of ram and it booted up fine, but I don't think I'll try more aggressive settings than that until I find another way to reset the ram timings. I did try out another set of 2x8gb ram I had in another laptop and it worked fine at the cas 14 timings with 32gb total. The system does set the command rate to 2T with all 4 banks populated and 1T with just the stock ram, and that doesn't appear to be adjustable (nor does it appear to meaningfully affect speed). I pulled that ram as I'd rather have 16gb in the other laptop for now, but may put it back in at a later date. Right now I have the system running 4.0ghz all core with 16gb@2400/cas14 ram and the v56 set to 1450/900. I can get 4.1@1.35V on the cpu if I disable SMT, but I tried up to 1.39V and couldn't get it to work with SMT enabled, so I just backed off to 4.0ghz at 1.35V. This makes it barely slower than my 2700X desktop in cinebench, which is pretty impressive for a laptop. Ryzen really hates 4 memory modules, so 2x8 or 16 is recommended. It actually ran fine at 4x8gb, but they were matching sticks and may have been a closer match to what comes in it (I have no idea what the stock ram is). The 4gb sticks were not matching, one is hynix and one micron. Still worked fine at cas15, but I'd rather have the slightly higher speed than the extra capacity right now. I can always put the other 2x8gb sticks back in later if I need more than 16gb. Yeah that too, Ryzen also hates anything that isn't Samsung B-Die or any high-binned RAM. Hello everyone! I've been lurking on this forum for a while and have been following this thread since it was created. Recently, I finally made a decision and purchased this laptop. It seems to be really nice. I just wanted to ask everyone a couple of questions on how to set up this thing since I don't get new laptops often and I wanted to set this one up properly. First, I wanted to ask about the battery. I didn't charge it fully the first time before turning it on, manual stated that I just need to plug it in before turning it on. I did turn it off after and let it charge to 100 percent then drained the battery and charged it again. Apparently, Acer suggests doing this three times in order to properly condition a battery. Do you guys think this is necessary and do you think I messed up when prematurely turned it on the first time? Second, do you recommend doing a clean windows install or simple fresh start will do. Also, should I get rid of the recovery partition or keep it just in case? Finally, I got this laptop primarily for it's processor and the fact that people stated that it stayed rather cool. I wanted to ask you guys whatt temps are you getting on GPU and CPU in Heaven benchmark after one run through all areas until it recets with computer on stock settings? I know I sound pretty much illiterate when it comes to laptops but I figured I'd do this one right, so any advices are appreciated. Thank you. So some experimenting with MSI Afterburner, and I can easily set the Vega clocks to 1500mhz gpu and 900mhz HBM, max temps only in the low 60's. This results in boost clocks of 1450mhz and 900mhz HBM. This is actually faster than a stock Vega56 - they run 1475 gpu (resulting in around 1425mhz actual boost clock) and 800mhz on the HBM and most of them run nuclear temps. Not sure if they run really highly binned gpu's in this or the cooling is really that good, but you can boost the clocks 200mhz gpu and 100mhz HBM without issue - no need to even modify the stock fan curve, voltages, power limit or anything. Just to see how much cooling overhead there was, I turned the fans to 100% and the temps dropped to 48C gpu and 54C cpu, which is positively cold. There's TONs of headroom if you want to o/c on this thing. I'm honestly amazed at those temps - I'm basically running with full on no compromise high end desktop performance in a laptop, which is kind of mind boggling to me. Hi, I had a question about gpu overclocking. I tried increasing both core and memory clocks but all it did is increasing power draw to 120 and made them both unstable. Any change to clocks even smallest one caused everything go up and down. Do you have any ideas what might be causing this? I was testing in RE2 on both balanced and performance modes using latest Radeon drivers. With regular clocks the gpu draws around 110 watts. Does anyone knows how to remove the HDD from this laptop? Removed the HDD cover and somehow I managed remove the HDD cable from the HDD pulling it at an angle, but I can't lift the caddy. Is there any maintenance manual provided by Acer? Thanks, I thought that I'm gonna brake the caddy's nylon levers (not sure what's the word) by pulling them. But it was just tight fitted. By the way, it's a bit tricky to install 9.5mm HDD - you need to insert both the HDD and it's cover simultaneously in place. The cover has two pawls and the one in the corner can't get in it's slot if the HDD is installed. New question: why there is no "SATA legacy mode" in BIOS? I want to install other OS, disabled secure boot but can't see my bootable USB drive in boot menu.